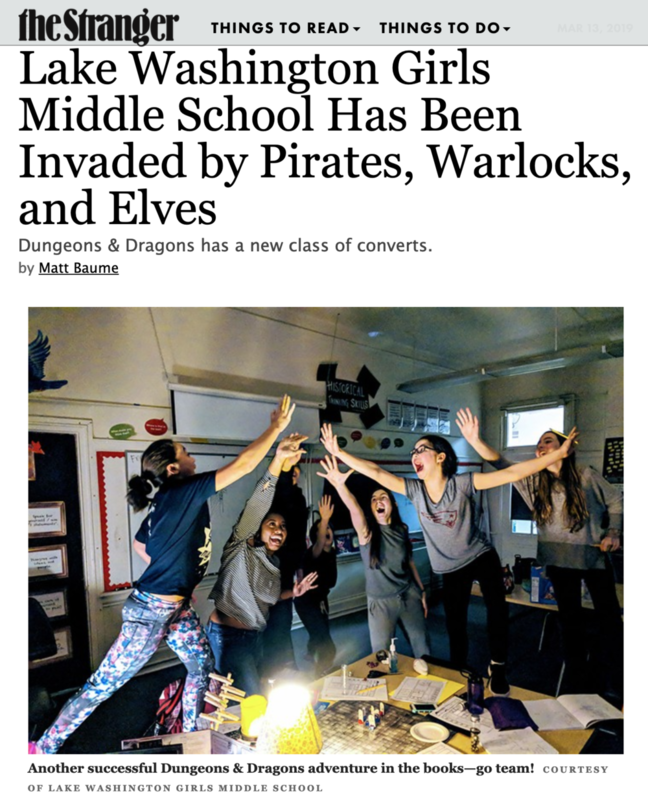 Mr. E and D&D In The News! Kudos to Mr. E and D&D for the press they're garnering...but more importantly, for the fun they're having! You may have seen coverage of Mr. E and the D&D Club in The Stranger (if not, pick up a copy and check it out)! The article is available here online (photos are from last year, but coverage is current). The Behold Her podcast did an episode on Mr. E and the D&D Club that was just released. It's older audio from last year but was just published. Thank you to Kristan Weller P' 15 and the fifteen ambassadors from the Intel Girls and Women initiative – Lizabeth Anderson, David Lin, Jane Mareth, Basu Nagarahalli, Carolyn Russell, Kirsten Spoljaric, Rex St John, Nadia Steere, Phillip Stephens, Allison Takeuchi, Kristan Weller P’15, Merrie Williamson, and Hope Yonemitsu – who came to L-Dub this week to spend time with the 6th grade, exposing them to STEAM in action! 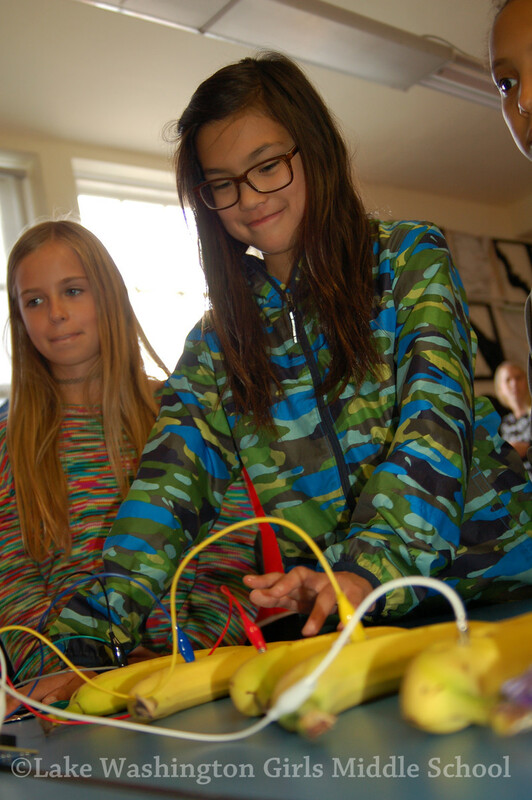 The Intel crew taught the girls about different concepts of circuitry, connectivity, electricity through activities using Makey Makey circuit boards, and a few simple, everyday materials. 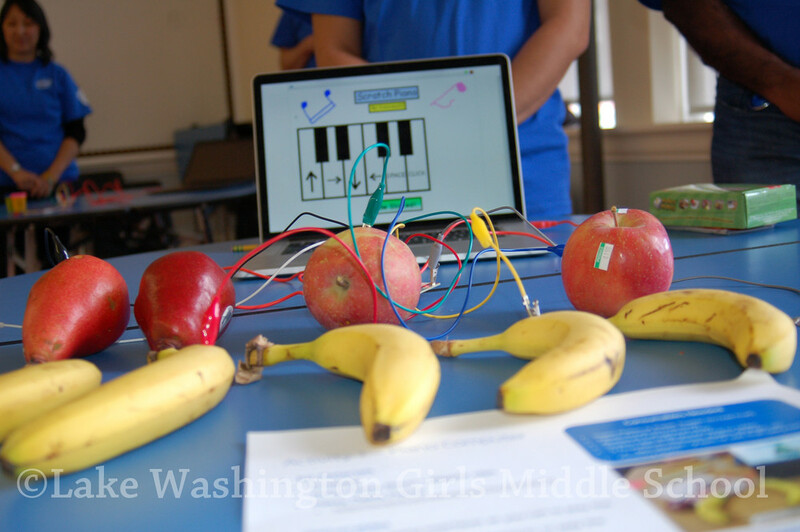 The girls designed and built Pac Man controllers using Makey Makey boards, graphite in pencils, and Play Doh, and they also made pianos with Makey Makey boards, alligator clips, fruit, aluminum foil, and a computer. Everyone got their hands on the materials, learning about their different properties, and everyone had a ball. We are so grateful for the Intel team’s generosity, time, intelligence, and humor...and for the strong women and feminists – those supporting the in the room! 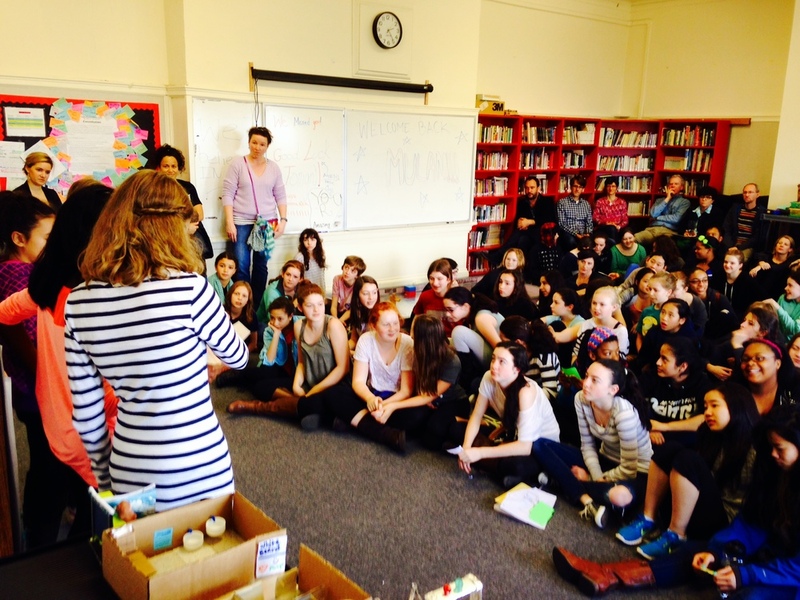 Build more girls- and women-inclusive maker environments in public places like libraries and schools. 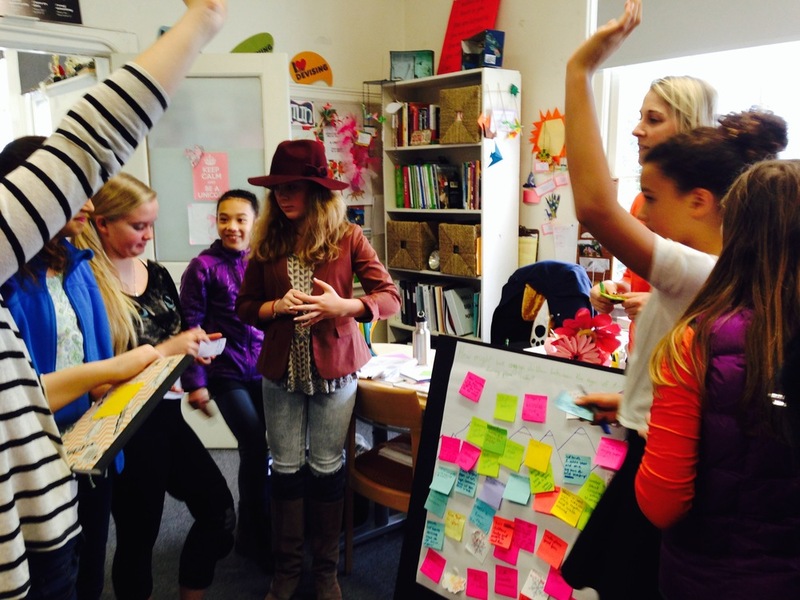 Design maker spaces that enable open-ended investigation of projects meaningful to girls and women. 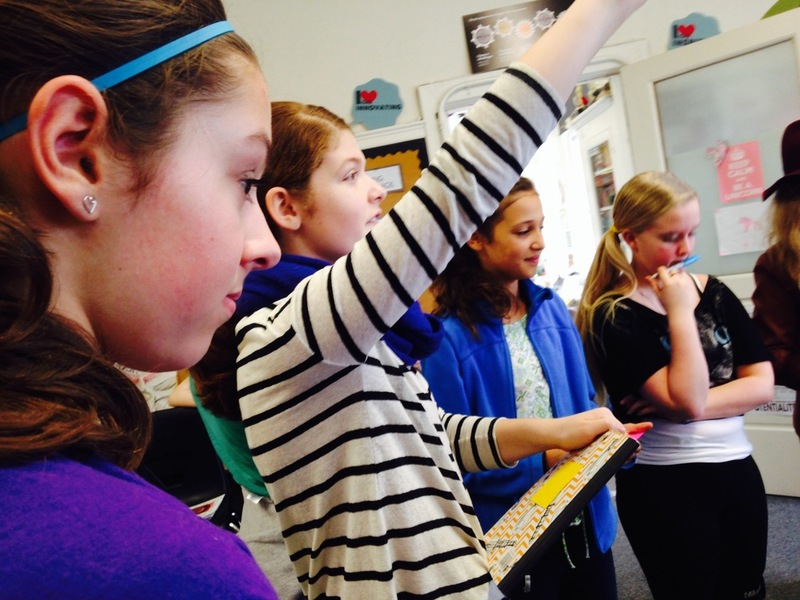 Develop initiatives that give girls more access to makers their own age and female mentors. 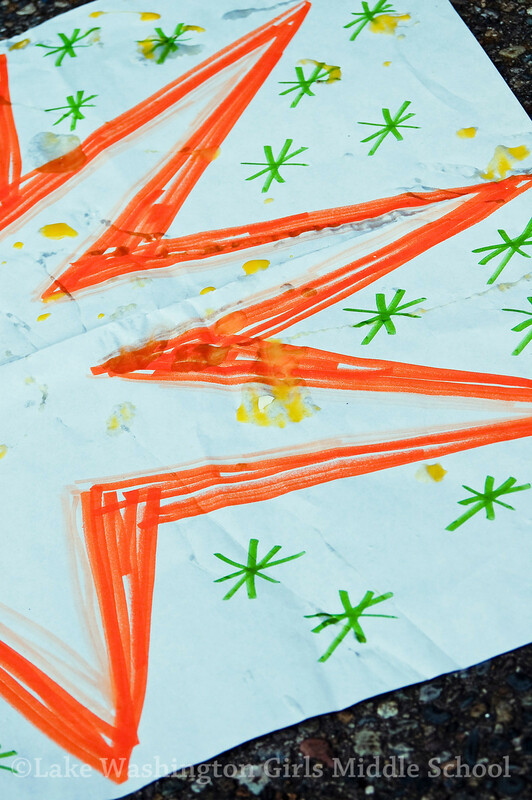 Encourage parents to “embrace the mess” and engage in making with their children. 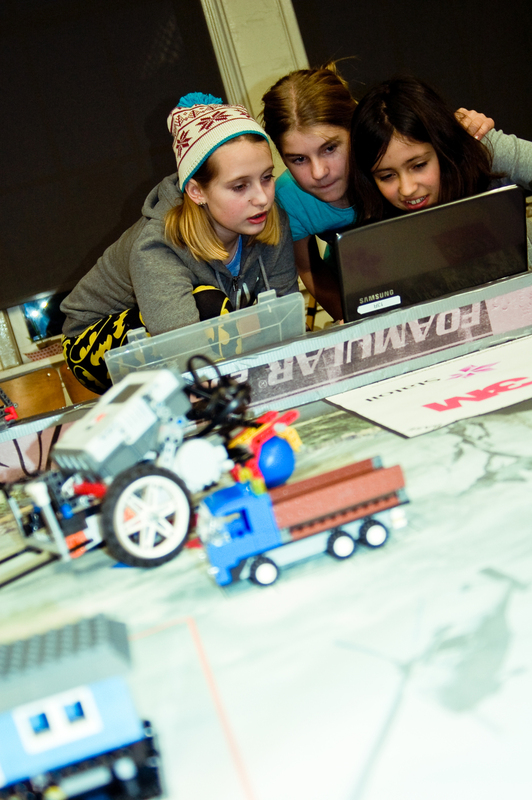 Align making activities, such as coding and making hardware, with current trends and personal interests to attract girls. 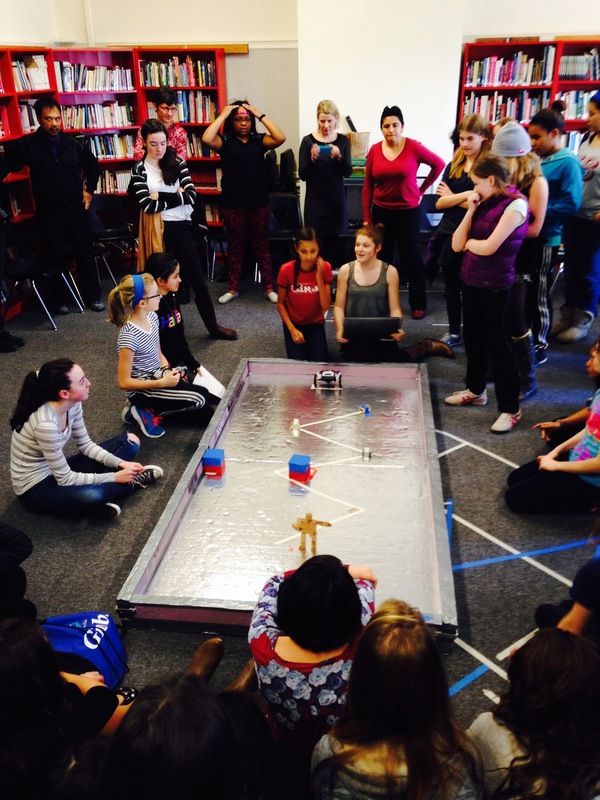 Include facilitators in maker spaces to create a safe, supportive, inclusive environment for girls and women. Read the entire MakeHers: Engaging Girls and Women in Technology through Making, Creating, and Inventing report here. Check out the photos on Smugmug! LWGMS Hits the Seattle Interactive Conference! 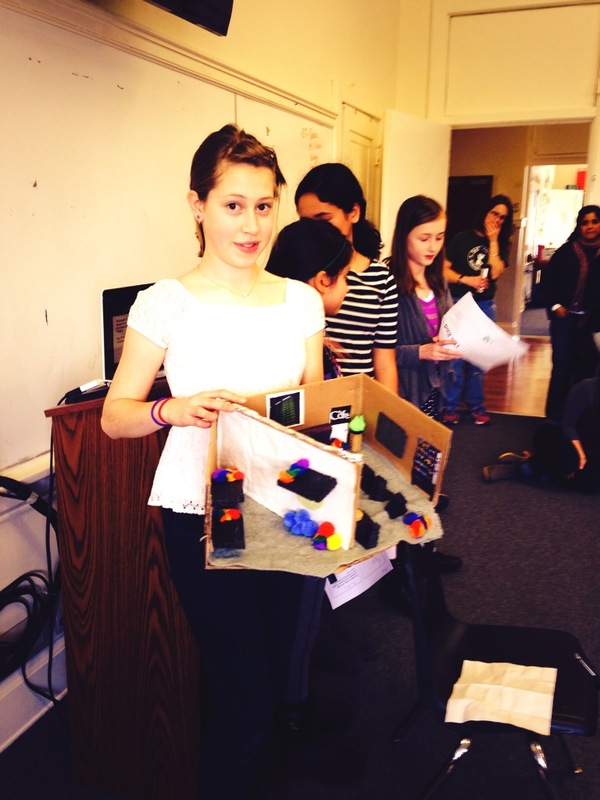 On October 15, Ms. Hearn will be presenting The Making of a School at the Seattle Interactive Conference. SIC 2014 will be examining the evolving landscape of Seattle pioneer-ism by turning to those with firsthand experience redefining the industry. They are the Makers; thought-leaders who synthesize creative inspiration with the next big idea, and companies that successfully cultivate innovation and then translate it into something meaningful. Most schools say they want their students to succeed. 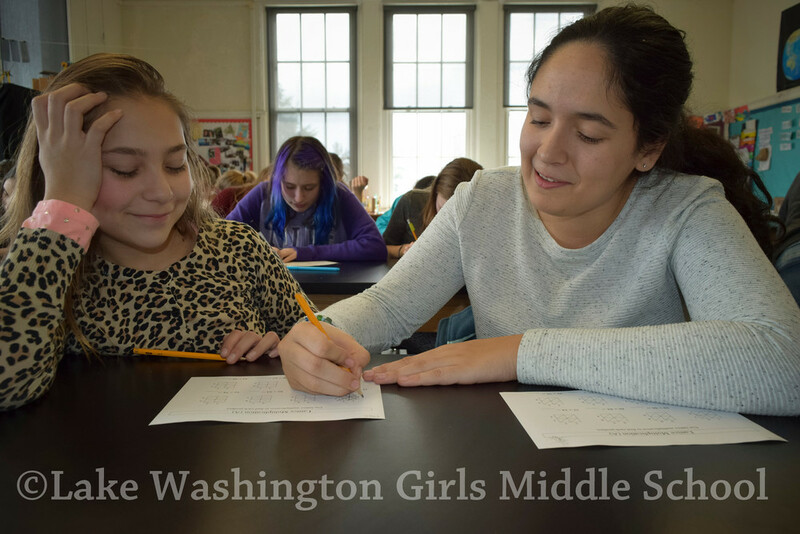 As the head of Lake Washington Girls Middle School, Ms. Hearn begins many back-to-school talks by telling parents she wants their girls to fail. 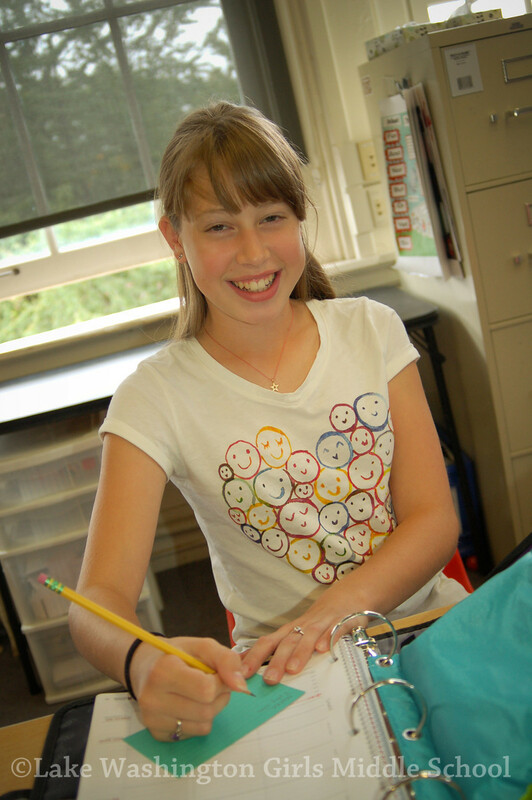 Ms. Hearn will talk to the conference-goers about the need for and the beginnings of LWGMS, and then she'll turn it over to a panel of seventh and eighth grade students who will discuss their experience in a school that embraces failure and cultivates creative confidence. 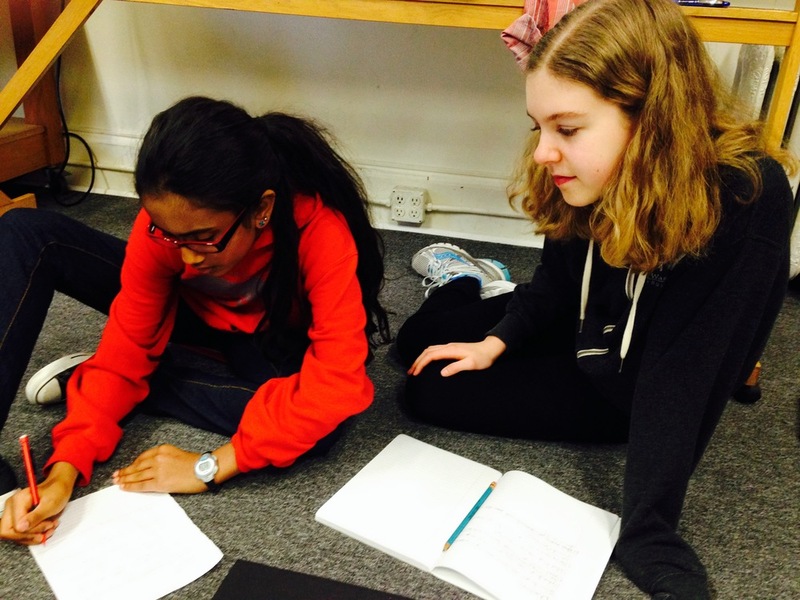 LWGMS girls are rewriting the popular narrative that adolescence is a time when girls lose confidence, lose interest in STEM subjects, and engage in negative peer relationships. Patti Hearn is the Head of School at Lake Washington Girls Middle School in Seattle, a school committed to offering girls the opportunity to become competent risk takers and courageous mistake makers. About seventeen years ago, Ms. Hearn began working with a group of parents to open the first middle school for girls in the Northwest. Since then, she has been sharing her expertise in humanities, drama, martial arts, and curriculum development. She has also “taught” lots of things in which she is not an expert, because she believes that teachers who are excited to learn alongside their students are the best role models. 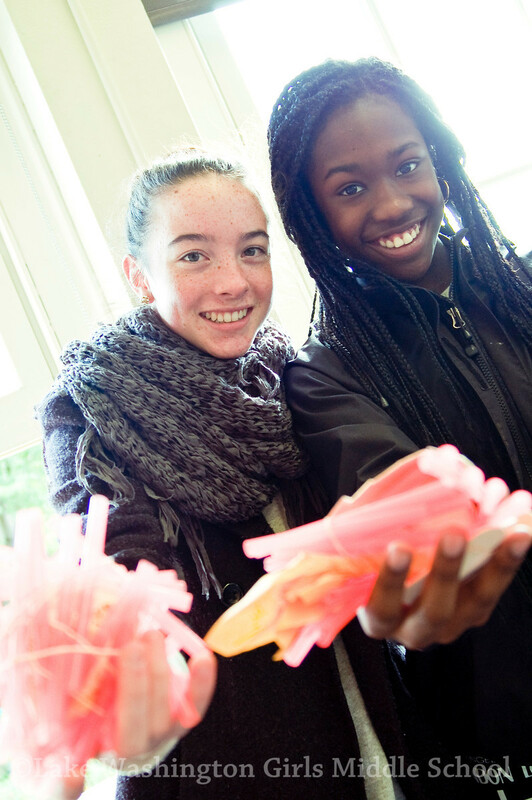 Today, LWGMS is an inspiring hub of creativity, design, inquiry, presentation, performance, analysis, messiness, and resilience, with 100 students, a few hundred alumnae, a dozen teacher role models, a leading-edge STEAM program, and lots of joy. Ms. Hearn has spoken at educational conferences that include the National Association of Independent Schools and the National Coalition of Girls’ Schools. She has a Master’s degree in Education from Antioch and a Bachelor’s from Rutgers University. She has also broken a concrete block with her elbow, married the same architect twice, and produced two cuddly yet independent children. Sometimes, she reads the whole book before her book club meeting. Use code SPKLWGRL100 for $100 off tickets! And if you're there, be sure to visit LWGMS's STEAM Booth! 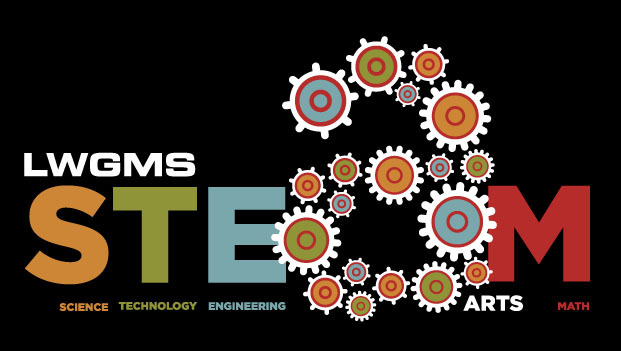 Ms. Cristina, Ms. Caitlin, Ms. Chelsea, and some students will be there guiding conference-goers through some cool L-Dub STEAM projects using LittleBits...banana pianos, anyone?! FLEx Week is one of our favorite parts of the term. While half of our girls are at the theater preparing for the play, the other is at school, hard at work on STEAM projects. 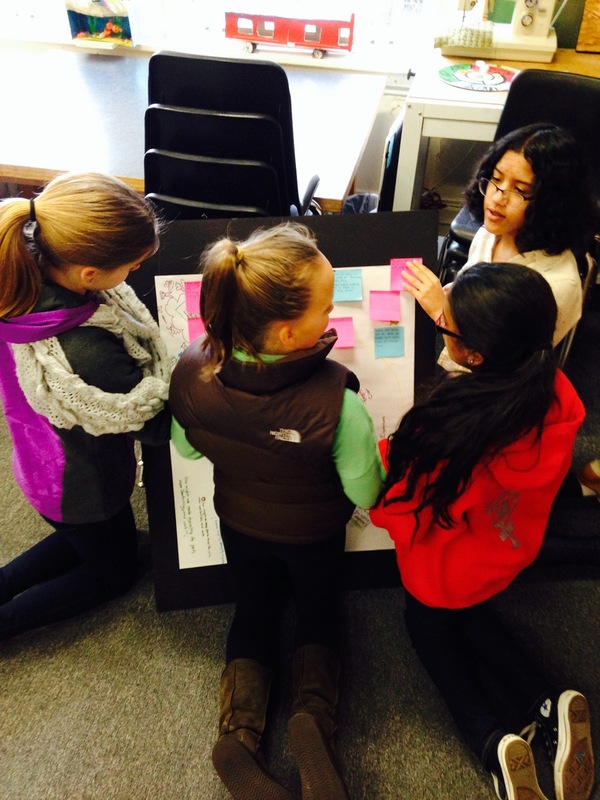 This term we decided to focus the girls’ projects around aviation and women in STEAM. To start us off with a bang, we began the week with an incredible field trip to the Museum of Flight. The girls loved it! During our tour the girls had the opportunity to not only learn about all the skills necessary for flight, but to actually put those skills to work in their very own flight simulators. We spent the rest of the day exploring exhibits, climbing through planes of all shapes and sizes, and watching our own private planetarium show. We are all hoping we get to go back soon. Special thanks to Señorita Jacquie and her family for connecting us with the museum! 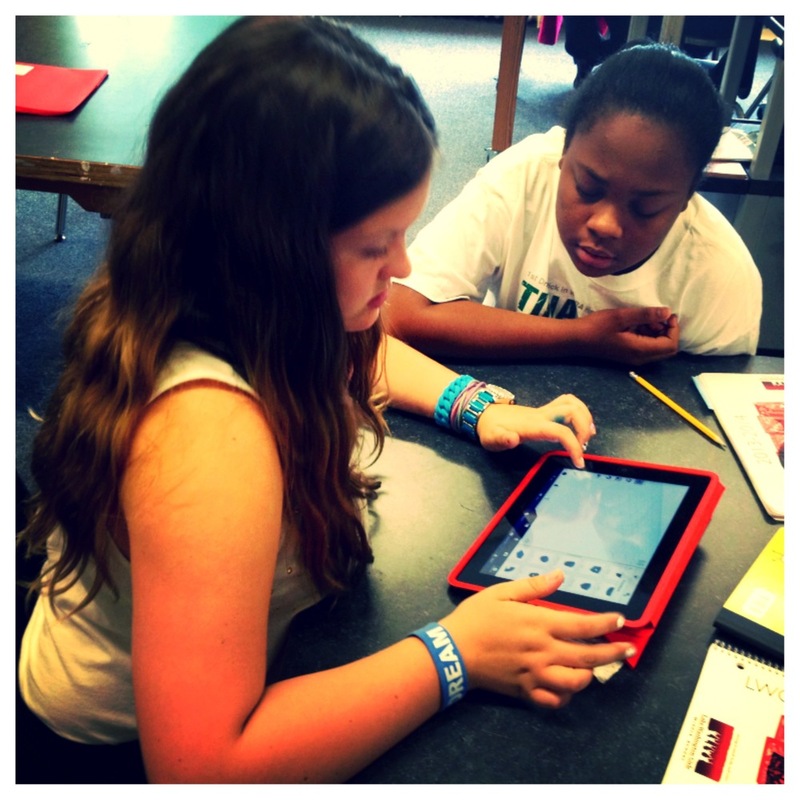 The rest of the week was spent hard at work on Design Thinking projects, robotics, and film making. By the end of the week we were all happily exhausted. On Friday, as a special treat, the girls were introduced to Erika Wagner, a true woman in STEAM with a PhD in Bioastronautics. Talk about an inspiration! See Dr. Wagner's amazing bio here. As their final FLEx Week activity, the girls were asked to showcase their work to the Mulan cast and crew, as well as a few family and community members. 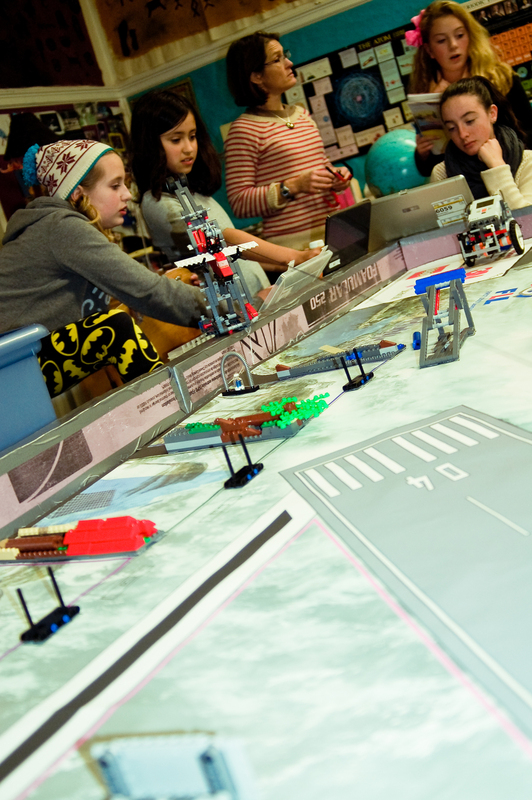 The films, prototypes, and robotics courses were presented with huge smiles and lots of applause. 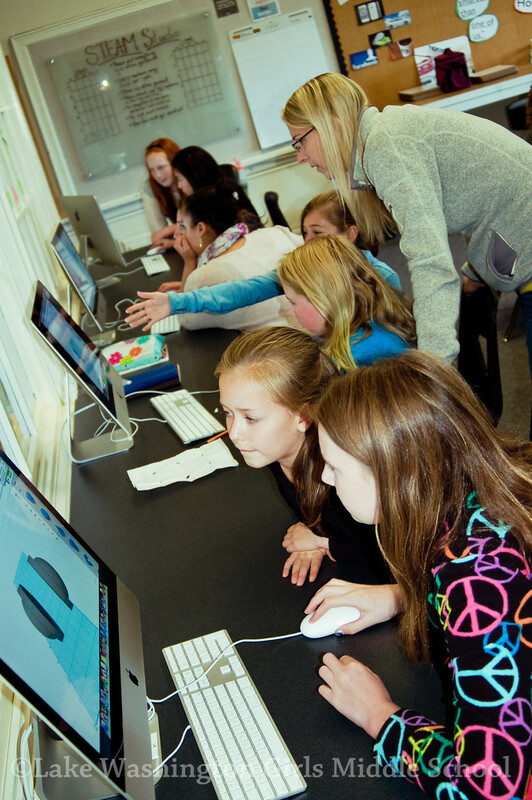 After watching all the girls’ grit and gumption throughout the week, we can definitely say that here at L-Dub, we love STEAM! We are about to finish up the second FLEx Week of the school year, a week of "deep dive" STEAM/Design Thinking projects. 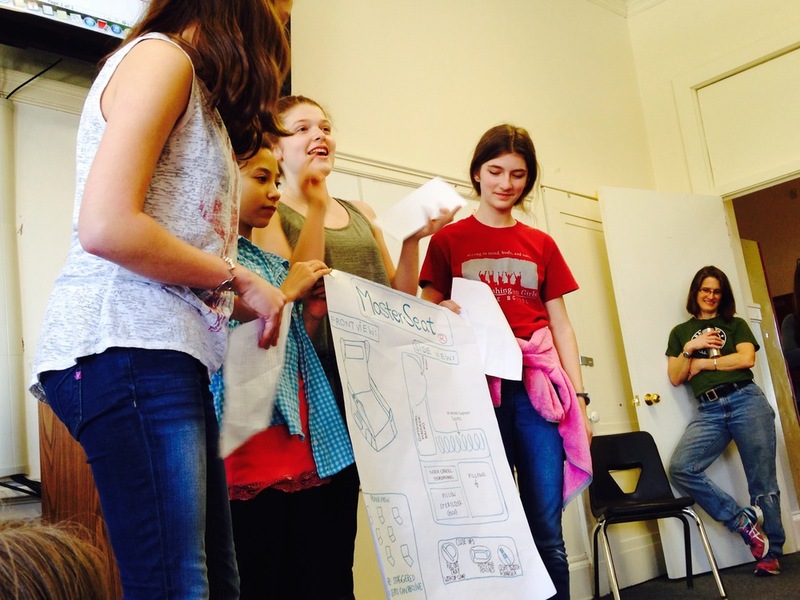 The girls (not in Peter Pan) have been embracing every opportunity offered to them, busy making short films around the topic of "what makes a girl strong? ", formulating ideas and creating prototypes addressing accessibility to alternative transportation, and getting their hands dirty repairing bikes (and learning even more about alternative transportation) at Bike Works. And last but certainly not least, they have spent time coding — creating animated stories using the programming language Scratch — every day, and participated in the Hour of Code during this Computer Science Week. The Scratch projects were great: goofy and adorable. Through trial and error and lots of problem-solving, the girls programmed puppies, birds, and monsters to move around the screen. They created animated holiday cards and walking snowmen. One student sent a squirrel over a rainbow. Many added music to their stories. 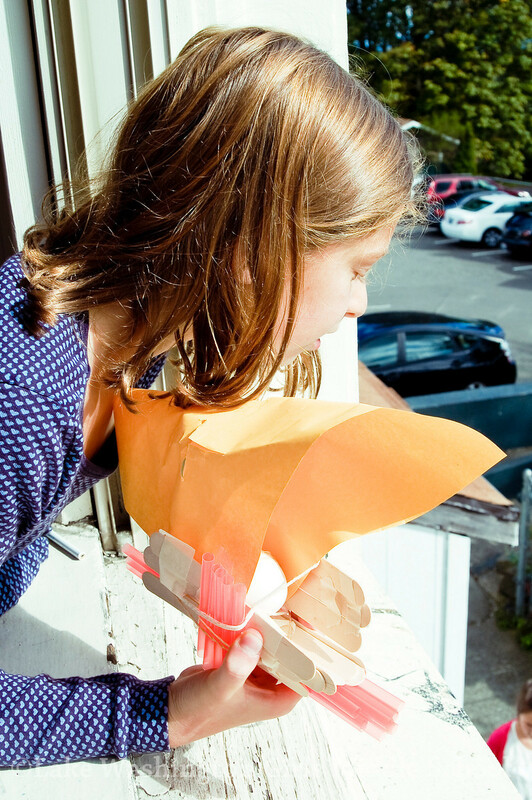 By the middle of the week, the girls were feeling empowered by their creations, and by the fact that they were learning — and writing — a new language. 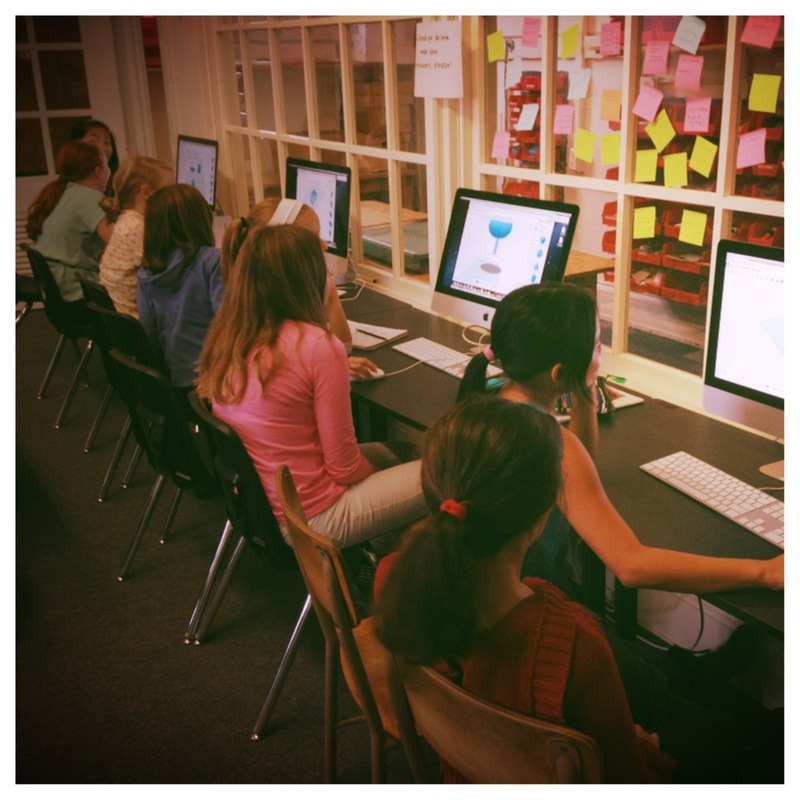 At LWGMS we believe that programming can teach our girls fundamental skills like problem-solving and abstract thinking. 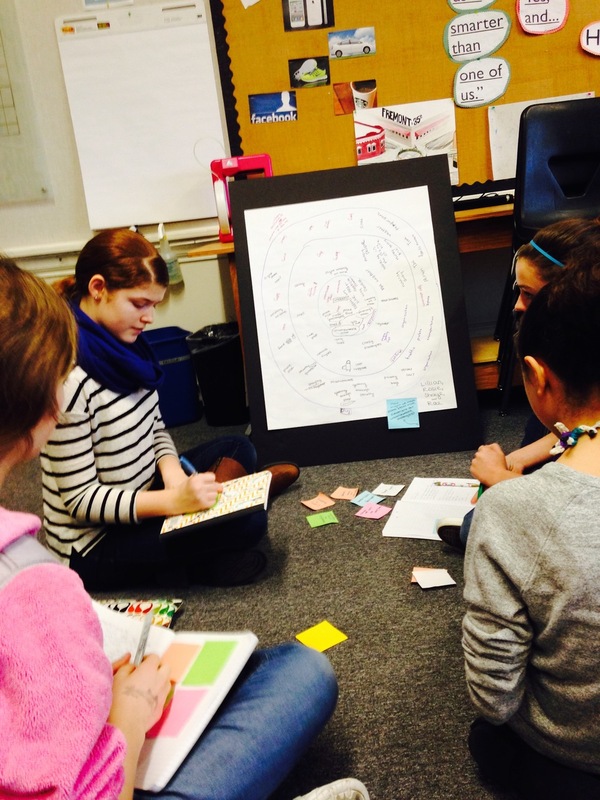 Embedded in all disciplines at LWGMS is an emphasis on Design Education as a way of fostering fluency in creative thinking skills to solve 21st century problems. 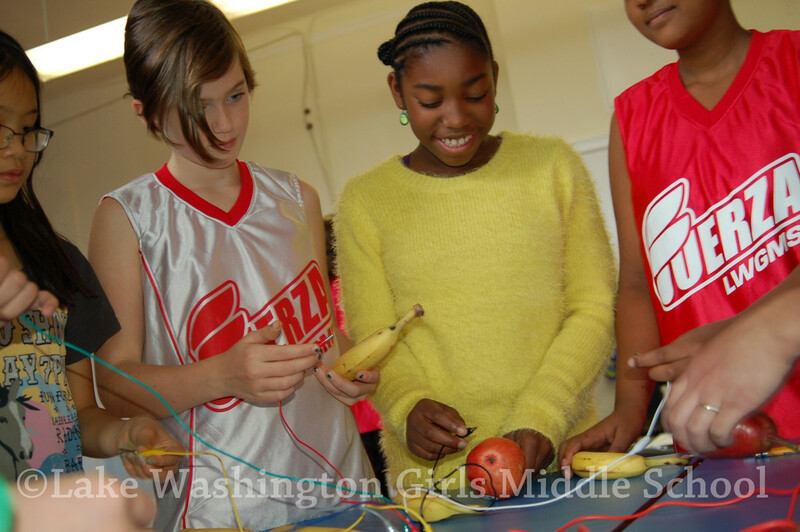 Problem-solving, risk-taking, and mistake-making are necessary skills to practice, especially at the middle school level and especially for girls. 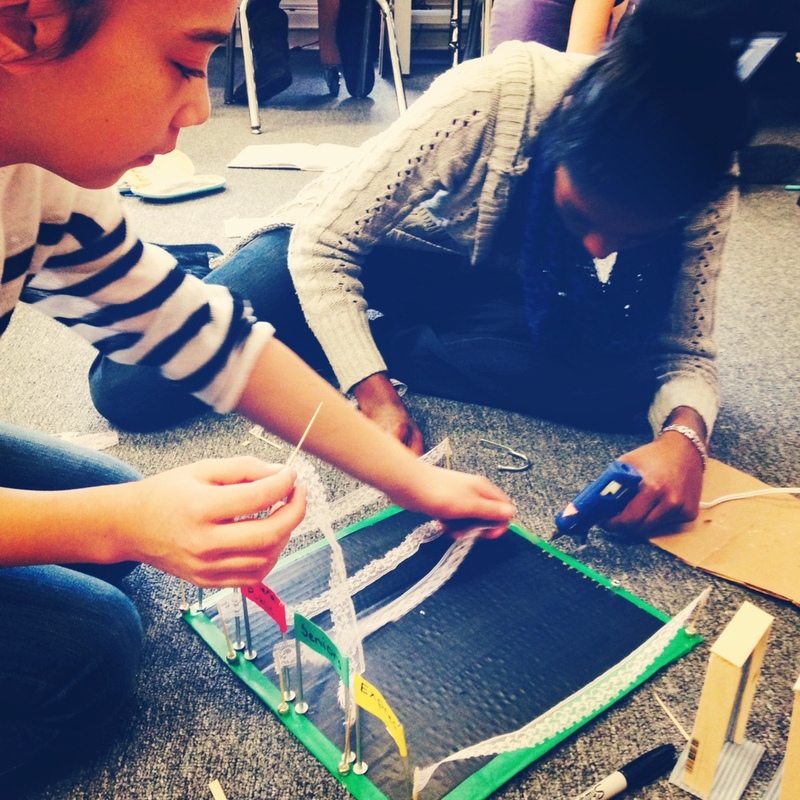 Students experienced and familiar with Design Thinking (empathize, identify, ideate, prototype, and test) demonstrate resiliency and approach problems collaboratively and creatively — the heart of STEAM education at L-Dub. Out of the more than ten million students who have taken part in the Hour of Code as of this writing, 53 percent of them are girls. Make sure to join us Friday at 2pm at the FLExing Our Muscles Project Fair to see all of the great work our girls have done during this FLEx Week. 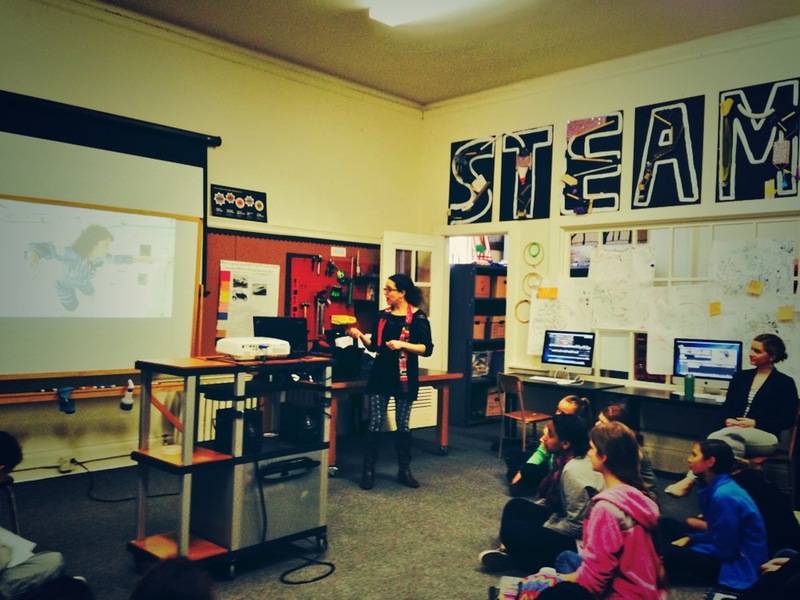 See more images from our coding/Hour of Code session here. One of the projects our girls have been working on this term in STEAM is stop-motion claymation films. They began by researching and writing their own "How or Why" stories such as "Why the Trees Lose Their Leaves" or "How the Crane Got Her Blue Eyes." 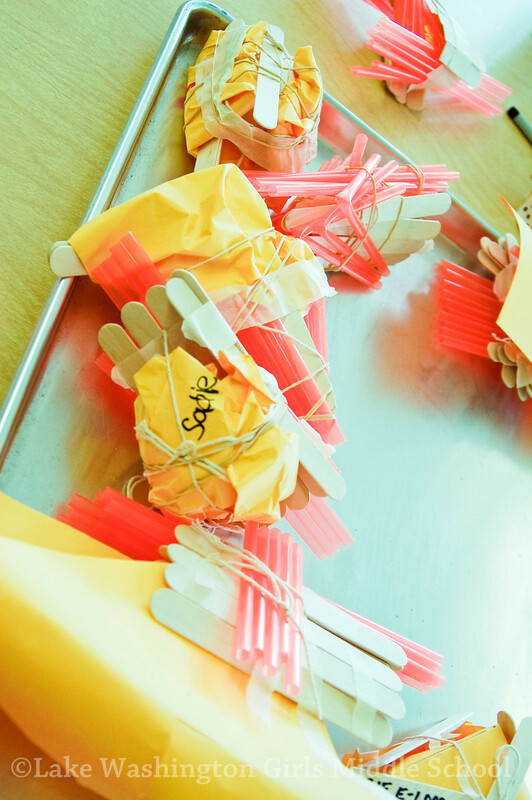 From there, the girls built their own backgrounds, sets, and characters using clay and our STEAM Studio supplies. It has been such a blast seeing the girls work together to create such incredible short films. They have loved this project and so have we! 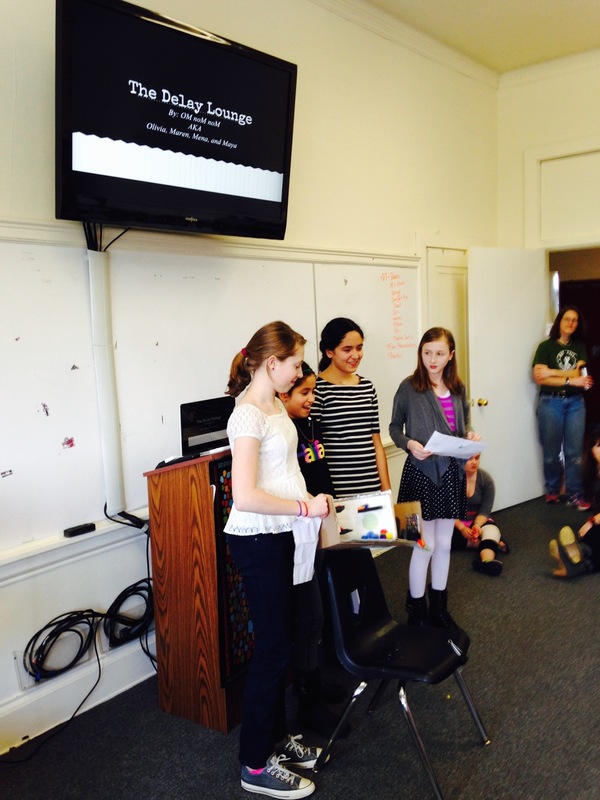 If you'd like to see more of their work, join us for the LWGMS Film Festival February 12th. 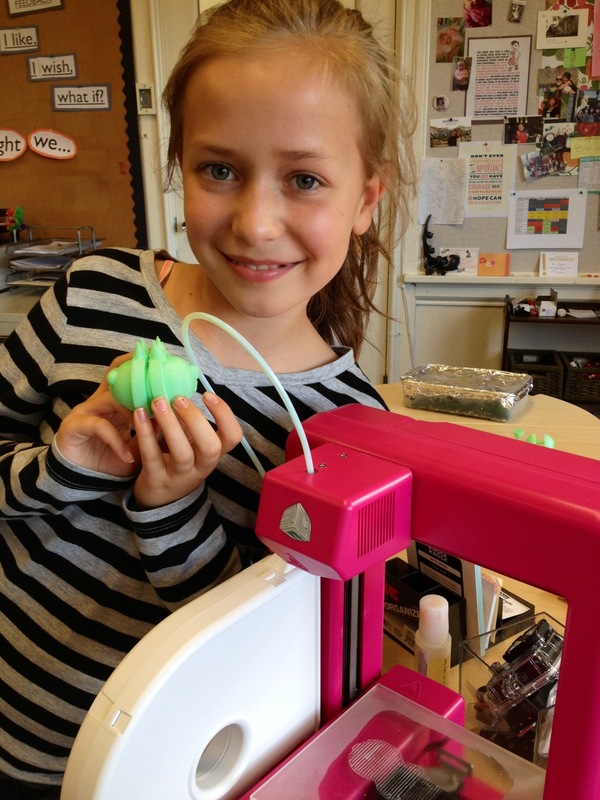 As the first month of school winds down, our first set of 3D models are being printed. Half of the STEAM enrichment class has spent the past two weeks researching and designing their version of a yo-yo. By taking kinetic and potential energy into account, some designs ended up a bit more traditional, while others had clear indications of student personalities and zest. 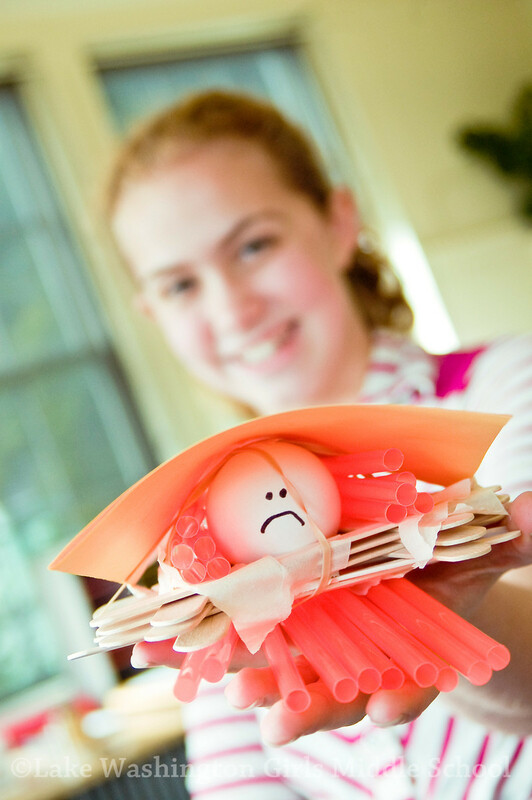 Either way, the girls had a blast and were thrilled to see their own creations come to fruition. Our STEAM class was posed with the question: Can you design a system that will protect an egg from a fall? The goal is simple – design and build a system that will protect your egg from a 3.3 foot drop. You need to create something that can absorb the energy the egg gathers as it accelerates towards the ground. A hard surface will crack the egg so you have to think carefully about how you can protect it. Something that will cushion the egg at the end of its fall is a good place to start, you want the egg to decelerate slowly so it doesn't crack or smash all over the ground. You'll need to run a few trials so have some eggs ready as guinea pigs, those that don’t survive will at least be comforted knowing they were smashed for a good cause, and if not, you can at least have scrambled eggs for dinner right? The girls were using the Design Thinking process, and during today's re-drop of new systems based on what they learned about yesterday's failures, we are happy to report that Josephine '14's egg made it! You can see all of the egg drop photos here.